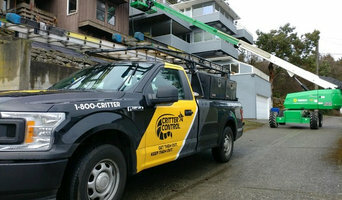 Critter Control of Seattle is happy to provide wild animal and insect control as well as wild animal damage repair services to homeowners throughout the Puget Sound Area for 25 years. As homeowners, you want to protect your property and well being, we are here to help! It might be tempting to tackle your animal damage or animal control problems on your own, but the trapping and removal of animals can be a risky and time-consuming task for the untrained individual. Why take the chance? Keep you and your family safe and call Critter Control of Seattle for any residential or commercial animal control issues you may have. If you've already had an animal infestation removed from your home, what about the damage or animal waste left behind? Critter Control of Seattle can take care of that too! As a full service residential animal control company; we cover inspection, trapping, removal, cleanup and repair. Contact us today to get started! 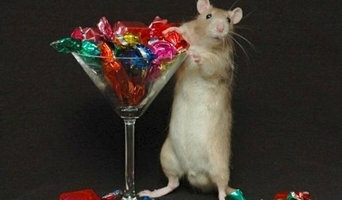 For info about our services, please call 206.431.6833 or 1800 CRITTER. 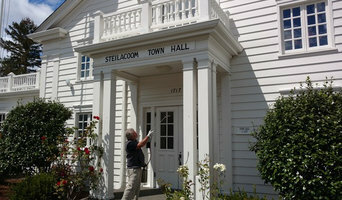 Visit us at <a rel="nofollow" target="_blank" href="http://seattle.crittercontrol.com">http://seattle.crittercontrol.com</a> Awrylo Enterprises, Inc. DBA Critter Control of Seattle, is an independently owned and operated franchise of Critter Control, Inc.
After working in the industry for well over a decade, we decided to start our own company to do the job the way it ought to be done. Spend plenty of time performing a thorough inspection and treat your home the way we treat our own. Check out our many reviews on Yelp and Google to hear the positive feedback we have received! Specializing In Organic Exterminating, Bed Bug Specialist, Pest Inspection Reports, Advanced Termite Control, Wildlife Removal, Integrated Pest Management, Mosquito Control, Weed & Brush Removal, Lawn Disease, Residential, Commercial & Schools. OUR SLOGAN ► “Take care of your Customer - They will take care of You.” WHAT I DO ► I make the lives of homeowners, property managers, commercial managed/owned facilities - small to fortune 500 companies easier and more convenient by providing Proven , Quality Solutions to all Pest, Termite, Nuisance Wildlife issues that arise on their properties. So they can spend time doing what they do want to do. WHAT WE DO ► We bring convenience while allowing our customers to focus on other aspects of their family or business to commercial and property managed companies lives by solving pest issues in a timely, fast, efficient manner unmatched in the pest industry. Real time online reporting updates, 100% transparency and 100% responsibility - No excuses. 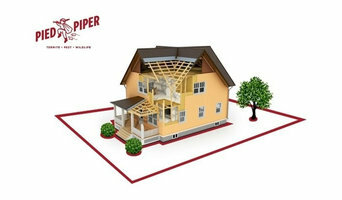 We are located here: <a rel="nofollow" target="_blank" href="http://piedpiperpest.com">http://piedpiperpest.com</a> OUR COMPANY ► Pied Piper began in April 2000 in Memphis, Tennessee, Future plans include branches in middle and east Tennessee, along with further expansion into other states through acquisition and organic growth. To include Texas/Austin/Houston/Dallas-Ft. Worth, Nevada/Las Vegas, Georgia/Atlanta. CONTACT ► Connect with me if you want to talk about how we can help you solve your current or ongoing pest problem, any industry business related question, Industry problem I can help solve or you can help me solve, or any related matter. Muhafiz Pest Control is an illustrious pest control company located in Lahore, Pakistan. We provide the most hygienic and healthy protection to the houses, workplaces and gardens of our worthy clients. Our mission is to ensure a healthy and pest-free environment for you and your loved ones. 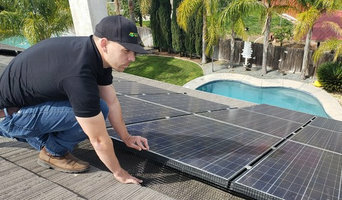 We provide fumigation, spray and termite proofing treatment to homeowners and businesses with the full complement of pest control inspection and treatment service options, termite treatment programs (with non-confusing termite warranty options and no deductibles on damage claims), as well as repair and moisture control services. Also, we only use environmentally sensitive and EPA- registered products for all pest control solutions. Our Quality Control Program is unparalleled in the industry. We make sure that the service is done in the right way and we have the process and people in place to guarantee it. Our pest control inspection and treatment services are performed while taking your satisfaction into account. We guarantee it. We involve you in the process and answer any questions you may have. Our goal is to exceed your expectations. We know that each situation is different. That’s why our pest control inspectors and exterminators assess the problem, and then discuss with you what needs be done. There are no surprises later on. We give you the facts up front and customize a treatment program that works for you and your pocketbook. SM Pest & Wildlife is a small company dedicated to exceptional and personal service in general pest control and wildlife removal. One call to SM Pest is all you will need to do. On The Go Services, LLC is a pest control contractor / exterminator serving the Bladensburg, MD area since 2000. Services include Pest Control, Commercial Pest Control, Insects & Spiders, Termite Control, Ant Extermination, Bedbug Extermination, Flea Removal, Cockroach Extermination, Mosquitoes & Ticks, Bee Control, Hornet & Wasp Control, Centipedes & Millipedes, Mice & Rat Control and Wild Animal Control. Rapid Response Animal Solutions Inc is a pest control contractor / exterminator serving the Katy, TX area. Services include Pest Control, Commercial Pest Control, Bee Control, Hornet & Wasp Control, Mice & Rat Control and Wild Animal Control. Sergeants Integrated Pest Solutions Inc is a pest control contractor / exterminator serving the Naples, FL area. Services include Pest Control, Commercial Pest Control, Insects & Spiders, Ant Extermination, Fire Ants, Bedbug Extermination, Flea Removal, Mosquitoes & Ticks, Bee Control, Hornet & Wasp Control, Centipedes & Millipedes, Cockroach Extermination, Mice & Rat Control, Organic Pest Control, Wild Animal Control and Rodent Exclusion. Falkin Pest Control is a pest control contractor / exterminator serving the The Colony, TX area. Services include Pest Control, Commercial Pest Control, Organic Pest Control, Cockroach Extermination, Rodent Exclusion, Mice & Rat Control, Bedbug Extermination, Flea Removal, Insects & Spiders, Ant Extermination, Fire Ants, Hornet & Wasp Control, Centipedes & Millipedes, Wild Animal Control, Termite Control and Mosquitoes & Ticks. Serving towns of Addison, Allen, Anna, Argyle, Arlington, Aubrey, Bartonville, Bedford, Buckingham, Carrollton, Celina, Cockrell Hill, Colleyville, Collinsville, Coppell, Copper Canyon, Corinth, Corral City, Crossroads, Dallas, Denton, Double Oak, Duncanville, Euless, Fairview, Farmers Branch, Flower Mound, Frisco, Garland, Grand Prairie, Grapevine, Gunter, Hickory Creek, Highland Park, Highland Village, Hurst, Irving, Justin, Keller, Krugerville, Krum, Lake Dallas, Lakewood Village, Lantana, Lewisville, Little Elm, Louisville, Lucas, McKinney, Melissa, Mesquite, Murphy, North Branch, North Richland Hills, Northlake, Northrichland Hills, Oak Point, Pilot Point, Plano, Ponder, Prestonwood, Princeton, Prosper, Providence Village, Richardson, Richland Hills, Roanoke, Rowlett, Sachse, Sanger, Savannah, Shady Shores, Southlake, St Paul, Sunnyvale, The Colony, Tioga, Trophy Club, University Park, Valley View, Watauga, Westlake, Weston and Wylie. HALO Home Services has over 20 years of industry experience providing unprecedented customer service for all your termite, rodent, pest control, bed bug, wood replacement and insulation needs. We offer free inspections and will walk each potential customer on our road map to success to ensure your problem gets resolved as quickly as possible. At HALO, we enjoy getting to serve our valued customer base. We pride ourselves on professionalism at all times and resolve our customers problems in the quickest of ways. We are in the business to serve and wouldn't want it any other way.